We’re proud to support the good stuff! We’re proud to support a range of great charities and fundraising initiatives that are doing a lot of good in our local communities. Last financial year, our staff and members donated more than $20,000 (see 2018 Annual Report) to some great appeals. 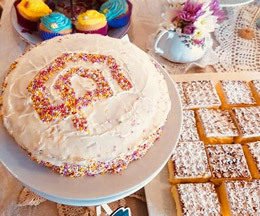 Australia’s Biggest Morning Tea is one of Australia’s most loved fundraising events. 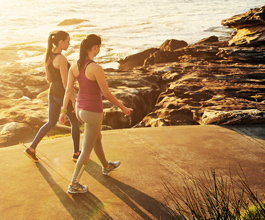 It plays a vital role in raising money towards the Cancer Council’s work in research, prevention and support. 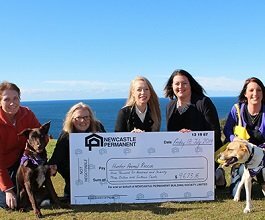 This year, Newcastle Permanent staff and members raised over $8560 for Cancer Council NSW. This will help fund over 200 nurses for one hour via the 13 11 20 cancer support line. The Salvos Christmas Toy Appeal is a community collection appeal requesting toys and gifts for families in need at Christmas. 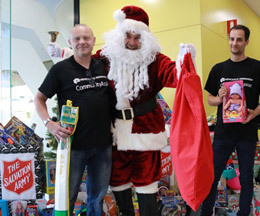 Newcastle Permanent has proudly partnered with the Salvation Army for almost 30 years to help make Christmas more memorable for disadvantaged children. Last year, Newcastle Permanent staff focused on donating gifts suited to children within the 10 to 15-year-old bracket. This age range is harder to select suitable gifts for and often gets over-looked, so the team made it top priority in 2017. 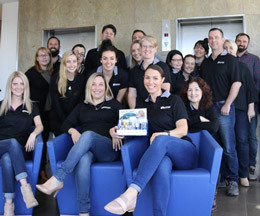 Jeans for Genes is the major fundraising initiative of the Children’s Medical Research Institute. The money raised from Jeans for Genes enables the Institute to continue research into genetic diseases. 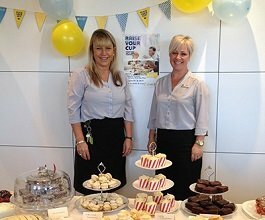 Our staff pulled on their denim on Friday 4 August 2017 and raised over $5,000. This will help fund a medical research that could result in an unexpected discovery and potentially save thousands of lives! Run by Cerebral Palsy Alliance, the Steptember charity event challenges people to take 10,000 steps a day for 28 days straight. 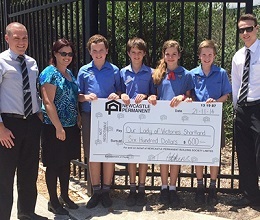 The campaign raises important funds to support people living with cerebral palsy. 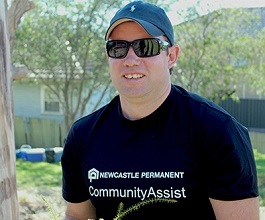 Newcastle Permanent staff members stepped up and took part in the 2017 campaign for the second time. Our staff formed sub-teams to create a little bit of friendly competition; all in the name of a good cause!